Rich tomatoey beef, creamy cheesey sauce, lasagne is a firm family favourite. But when you haven't got time to slave over the stove, why not opt for our delicious homemade version? Perfect for an easy midweek supper. Made with Quality Standard English beef. 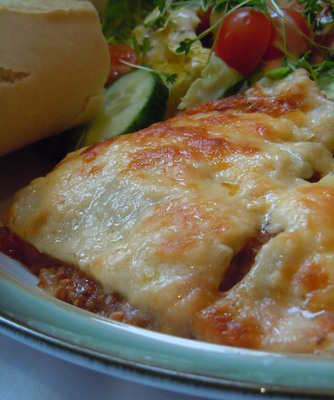 A small lasagne will feed 2 people and a medium lasagne will feed 4-6 people depending on appetite.